I purchased this and a few similar paintings on cigarette paintings from the artist back in the late nineties. I love them, but have decided I can live with a few less. We got to know Menno quite well then at the beginning of his career, but as is often the case didn't keep in touch. I was pleased and not surprised when I googled him just now that there are many pages of reviews and notices and he has come to be recognized as one of Canada's foremost "Outsider" artists. Here's an artist statement posted by the parts gallery in Toronto. Menno began his art-making career in the front seat of his Plymouth Sundance, parking wherever he could find bright street lights at night, and painting on whatever he could get his hands on. It was in this "mobile studio" that he developed his signature style, which has been described by one art critic as "raw, clumsy, painful and ugly. So ugly, in fact, it's irresistible." His work first came to public attention in the early 90's when an antique merchant saw Menno's paintings and began selling them at a flea market. 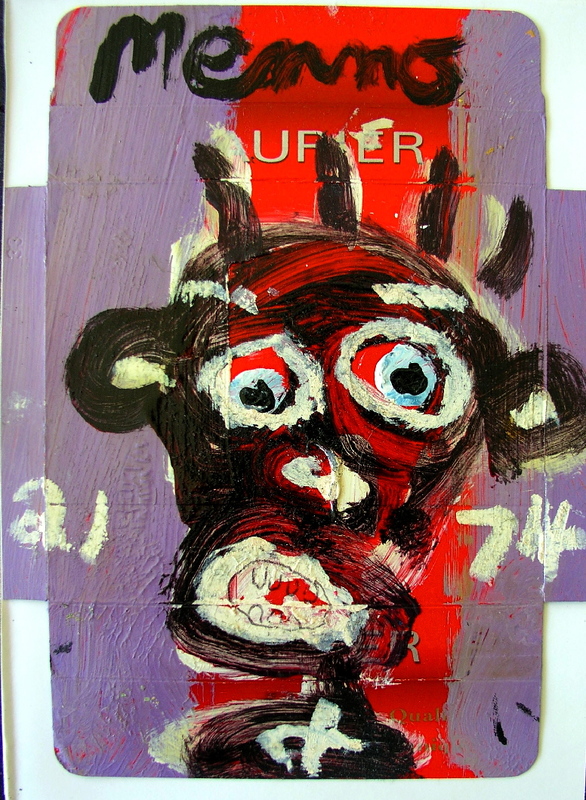 He introduced Menno's work to an art dealer from New York, which led to his paintings being included in the prestigious International Outsider Art Fair. Since then, Menno has had several solo shows across Canada and the Unites States, and has participated in shows at the Art Gallery of Ontario, Baltimore Museum of Visionary Art, and the Museum of American Folk Art in New York City. 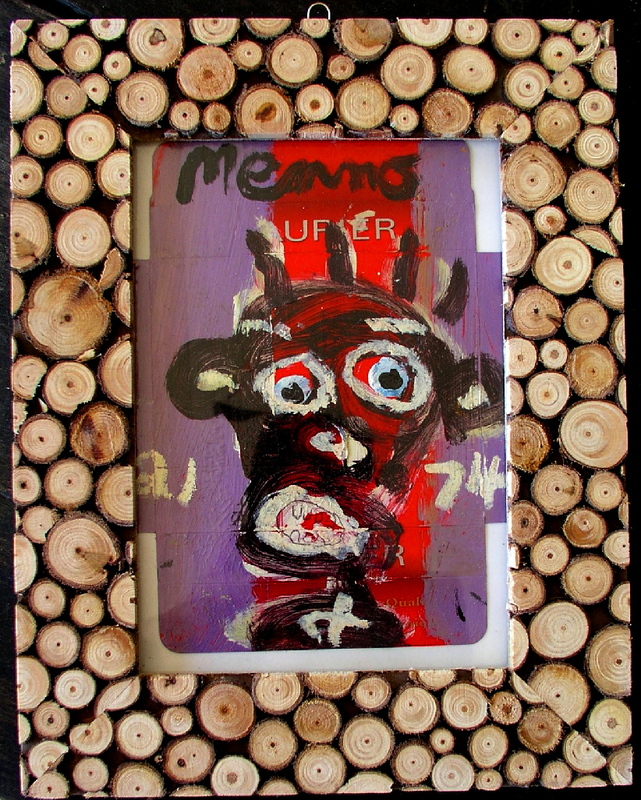 Today Menno is internationally renowned, and his paintings are sold and collected worldwide.